Nintendo needed a game to launch the Wii Zapper, and it needed to be something popular. 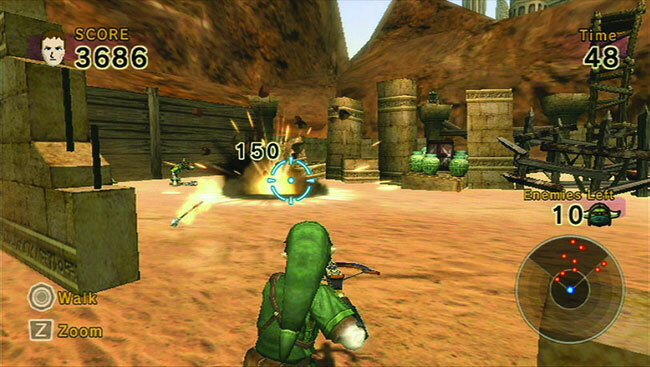 Enter Link's Crossbow Training. A shooting gallery featuring the Legend of Zelda frontman toting a crossbow would seem like an elegant solution if it didn't feel so out of place. After all, Link's never used a crossbow in any game before or since. Even though it sold around 5 million copies, you can grab a copy for next to nothing at any Gamestop, and they'll only give you a nickel for yours (seriously, it's worth five cents).